This post originally appeared on Here Comes The Sun. I wrote this letter on November 14, 2016. I’m so grateful for the awareness and advocacy opportunities it has brought me. It has reached millions of people in 176 countries. In November 2018, the amazing PR team at The University of Kansas Health System invited me into their studio to record a video version of my letter. I’m sorry. I didn’t get it. This thought has been weighing heavy on my heart since my diagnosis. I’ve worked in oncology nearly my entire adult life. I started rooming and scheduling patients, then worked as a nursing assistant through school, and finally as a nurse in both the inpatient and outpatient settings. 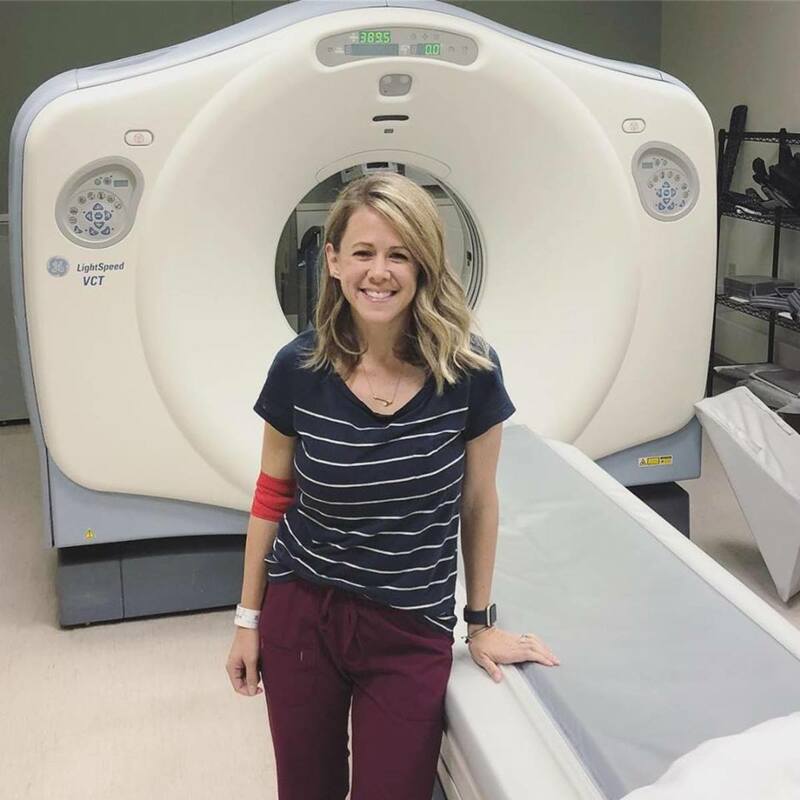 I prided myself in connecting with my patients and helping them manage their cancer and everything that comes with it. I really thought I got it. I really thought I knew what it felt like to go through this journey. I didn’t. I didn’t get how hard the waiting is. It’s literally the worst part. The diagnosis process takes forever. The different consults, the biopsies, the exams, and procedures… and the scans. Ugh, the scans. You were going through the motions trying to stay positive but at that point, you had no idea what you were dealing with and the unknown was terrifying. Knowing the cancer is there and knowing you’re not doing anything to treat it yet is an awful, helpless feeling. I’m sorry. I didn’t get it. I didn’t get how awkward it was to tell other people the news. You didn’t know what to say. They didn’t know what to say. No one knew what to say, but there was some relief when the word started to spread. It may have been overwhelming to reply to all the calls and messages and to get used to others knowing such personal information, but this nasty secret you’d been keeping was finally out and your support system was growing. I’m sorry. I didn’t get it. June 30, 2017: Number 8 and feeling great! I didn’t get how much you hung on to every word I said to you. You replayed it in your mind a hundred times. Did I really mean this or that… you wondered if you understood. You called me again to make sure. And maybe another time because your friend asked: “well, what about _____?” You asked your other nurses to see if you got the same answer. Please know we are happy to take a million calls a day with the same questions until you can make sense of it. I’m sorry. I didn’t get it. I didn’t get how much you Googled. I told you not to do it. You did it, a lot — and so did I. Searching for information, hope, stories like yours, reassurance. It was impossible not to. My new stance is to just know what a good source is when you google. I’ll help you learn to filter the information. And I promise to give you more information because I know how much you crave it. It’s not realistic to think you will have the willpower to not search at all (at least it wasn’t for me). I’m sorry. I didn’t get it. I didn’t get what it felt like to get the sad looks all the time. Walking down the hall at work or seeing someone for the first time after finding out. You got the head tilt with a soft, “how aaaare you?” You quickly got together your rehearsed “Doing pretty good, tired but hanging in there” generic response. Don’t get me wrong, I know you appreciated all the well wishes and concern but it sure took a little while to get used to the pity. I’m sorry. I didn’t get it. I didn’t get what really goes on at all those “other appointments.” I knew what to tell you to expect at your oncology appointments but all the different types of scans, radiation, operating room, procedural areas — I didn’t really know what went on behind the scenes there and what to tell you. I should’ve known more about the whole picture. I should’ve been able to warn you that there was an hour wait after a dose of medication before you could actually have a scan. I should’ve been able to tell you what you can and can’t eat or drink before a certain procedure or that some treatments require going every single day. I’m sorry. I didn’t get it. I didn’t get how weird it felt to be called “brave.” It’s a word that gets thrown around a lot. Yeah, it kind of made you feel good but you still didn’t really understand why people would call you this. Sure you were getting through it fine (most days), but it’s not like you had a choice. I’m getting treatment because I have to doesn’t really make me feel like much of a hero. I’m sorry. I didn’t get it. 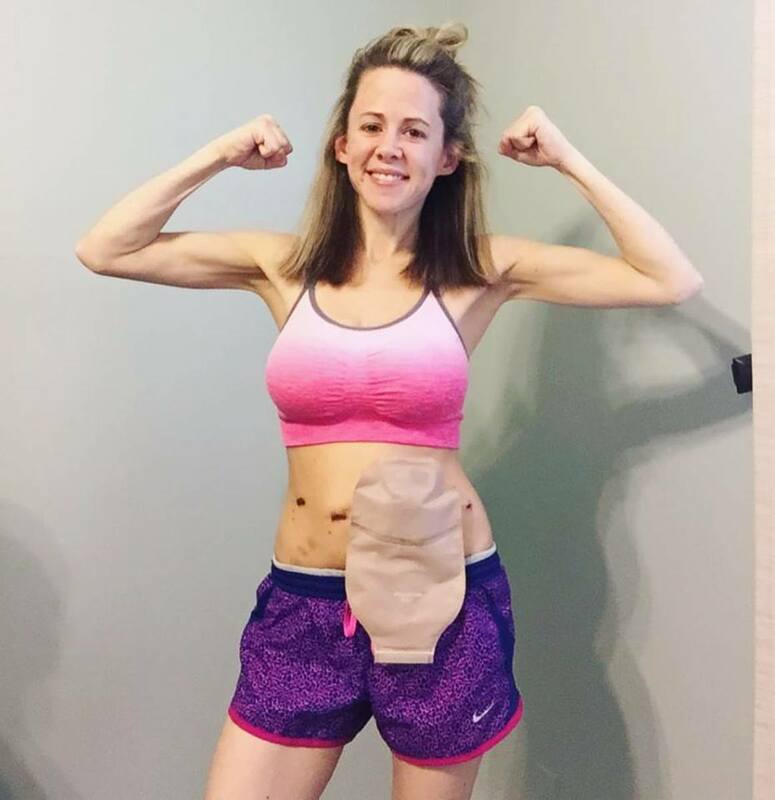 Cancer can change the way I look, but it can not change ME! I didn’t get how crazy this makes you. Like you literally wondered if you had lost every working brain cell. Especially when dealing with side effects or other symptoms. You could’ve had every side effect in the book from chemo or none at all and you’d still wonder if it’s really working the way it’s supposed to. You may just have had a headache, or a common cold, or a sore joint but you were never certain it wasn’t related to your cancer and always wondered if it was a sign of progression, even when it made no sense. I hope you didn’t feel dismissed when you called me to ask about it and I said not to worry. I’m sorry. I didn’t get it. I didn’t get why you were always suspicious. You couldn’t help but wonder if they all knew something you didn’t about your prognosis. We shared the percentages and stats with you and that every cancer is different… but still, is there something more? Something they were protecting you from or just felt too bad to tell you? Logically, I know the answer to this but find myself with these feelings as well. I’m sorry. I didn’t get it. I didn’t get how confusing “options” really were. In some cases, there may be more than one choice. Whether this be physicians, medications, sequence of treatment, etc. I would try my best to help you understand every angle, but more options many times just meant more confusion. You wanted to be involved in your own care but the stress of too many options was sometimes too much. You begged me for my input and to tell you what I would do if it were me. I hated that question, but I hear you now. I’m sorry. I didn’t get it. I didn’t get how hard it is to accept help. Especially the moms. This just wasn’t something you’re used to doing, but you needed it. You felt shy about admitting that you’re not sure you could’ve gotten through the first few months without the extra food, gift cards, support, and other help you were given. You felt humbled at the outpouring and just only hoped you would’ve done the same for them. You still wonder if you said thank you enough or if you missed an opportunity to give back. I’m sorry. I didn’t get it. I didn’t get the mood swings. One day you felt confident that you’d completely beat this with no problem; you felt like you could take over the world. And for no good reason, the next day you were just convinced yours was going to be one of those sad stories people tell their friends about. The moods snuck up on you without warning. Literally, anything could’ve been a trigger. I’m sorry. I didn’t get it. I didn’t get that when you said you were tired, you really meant so much more. Sure there are words like exhaustion and extreme fatigue, but there should really be a separate word just for cancer patients because it’s crippling. Really. Some days you really wondered how you’d trudge forward. I’m sorry. I didn’t get it. I didn’t get how much time this really takes away from your life. I always used phrases like, “Cancer is like getting another full-time job” or “Life doesn’t stop for cancer” when trying to prep you for what you were about to embark on. But now they just seem like corny catchphrases. It completely took over — you had to stop doing things you love, you had to cancel plans, you had to miss out on things that were important to you. It just wasn’t in any plans and that alone took a lot of mourning. I’m sorry. I didn’t get it. I didn’t get that it hurts to be left out. People didn’t invite you to things anymore. People felt like they can’t complain or vent about every day annoyances to you anymore. People acted differently towards you and it hurt a bit. You certainly didn’t blame them, you had even done the same to others when traumatic life events happened — and you didn’t want to go out for drinks anyway because you don’t feel good. But you needed normalcy. I’m sorry. I didn’t get it. July 17, 2018: Clear scans! See ya in 6 months, ya crazy tube. I didn’t get how much you worried about your kids. For this, I’m the most regretful. I should’ve talked to you more about them and not just in terms of lifting restrictions or germs. You worried about how this was going to affect them. You worried about not being able to keep up with them or care for them properly on your bad days. You worried they’d be scared and confused. You worried about leaving them. I’m sorry. I didn’t get it. I didn’t get the guilt you felt. Especially to those who are married. You thought about how unfair it was that your spouse had to pick up so much slack — mentally to help keep you focused and calm, and physically at home pulling double weight with never-ending everyday chores. You understood that everyone promises “in sickness and in health” when you get married but you still felt like they didn’t deserve this. You felt thankful when your spouse would say “go get some rest and I’ll take care of the kids” but your heart hurt overhearing them play in the other room away from you, wondering if that was a glimpse into their future that didn’t have you in it. I’m sorry. I didn’t get it. I didn’t get that it never ends. Never. I used to tell you that cancer will be just a phase in your life. Just like high school or something, it seems like it drags on and on when you’re in it, but soon it’ll all be a memory. I’m sorry if this made you feel marginalized — it is not a phase. Yes, there are phases. The treatment won’t last forever but you are changed now. The worrying won’t stop, the uncertainty won’t stop, the fear of recurrence or an awful end won’t stop. I hear that it gets better, time will tell. And time is precious. I’m sorry. I didn’t get it. I do have to admit; I’ve probably had it a little easier than you to start off. I know the language, I know all the right people, I work where I get treatment so sure it’s more convenient. 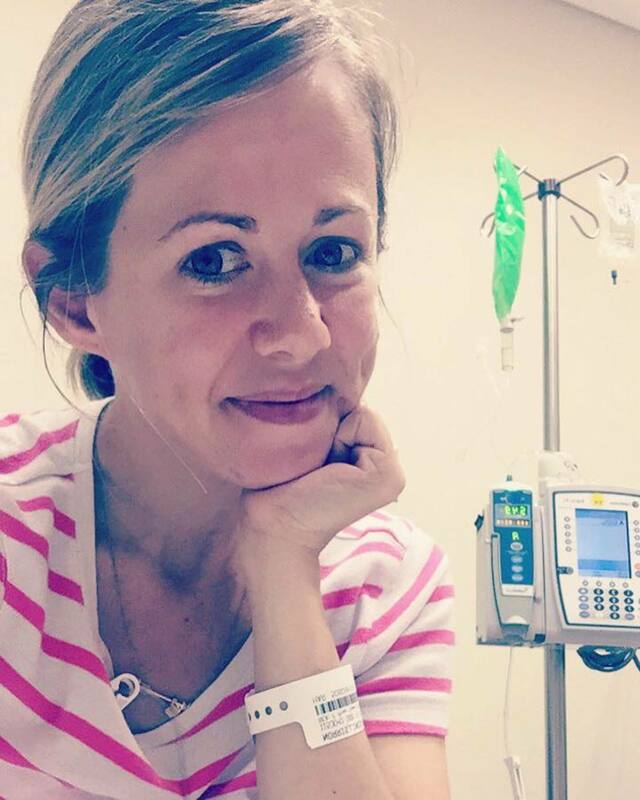 I watched so many of you march through this terrible nightmare with a brave face and determination without knowing one thing about cancer ahead of time, other than knowing you didn’t ever want to get it. You’ve always been my inspiration and I love each and every one of you. Nothing brings me more joy that when I see you reach your goals and slowly put yourself back together. I love when we get visits or notes from those of you who are several years out and doing great — it’s good for the oncology nurses’ soul. Even though healthcare workers don’t really know what it’s like to be you (well, us) it’s ok. Nobody does. I just hope that I was still able to give you a little guidance and strength to help you get through your cancer treatment. Even if I didn’t get it. 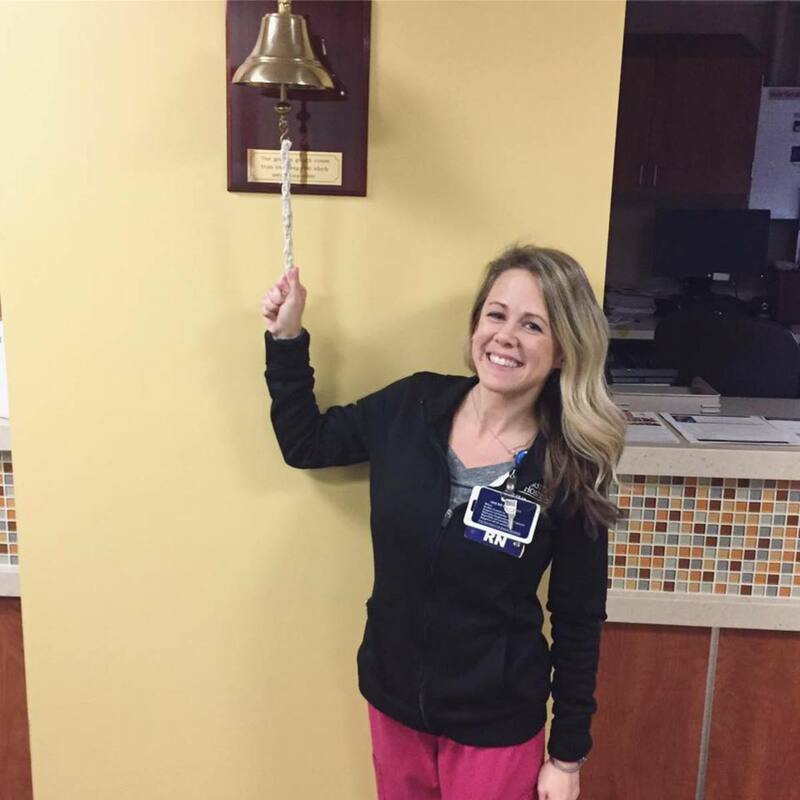 Lindsay is an oncology nurse at The University of Kansas Cancer Center.